How to Get Rid of Warts During Pregnancy? Due to our strange lifestyle and other factors, the dark circles problem is increasing. 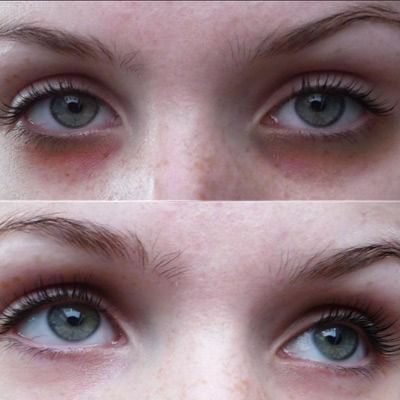 Actually, the dark circles’ are brown or purple pigmented areas around the eyes. These dark areas under the eyes make the beholder look tired and older. The dark circles represent a mild to a moderate problem and there are no serious health risks associated. In some cases, there are no signs and symptoms if a person is experiencing it. Women and men and even children can experience it. The dermatologists suggest different solutions to this problem. The treatment options include topical eye creams, chemical peels, dermal fillers, IPL treatment, laser treatment, and mesotherapy treatment. The people suffering from dark circles can take the laser treatment for better and quick results. The person who is at least 18 years old can take it. The laser rays are not good for pregnant and lactating women. The laser dark circles treatment is good for different skin types and tones. The laser dark circles treatment makes the person feel young and happy again. The laser treatment for dark circles delivers promising results in short time. The laser dark circles treatment is a non-surgical and non-invasive treatment. The laser treatment for dark circles boosts the self-esteem and self-confidence. The laser dark circles treatment takes a short time to remove dark circles using the laser. There is no downtime and there are major side effects of the treatment for dark circles. If you are suffering from the dark circles’ problem and want to get rid of it real quick, you should try our Laser Dark Circles Treatment. The Laser Skin Care Clinic is offering the latest laser treatment at a reasonable cost. If you want to know more, please do not hesitate to contact us by dialing our number or by filling out the short online form on our website. You Don't want to Miss Our Offer on Dark Circled Eyes . Fill in The Form To Avail Our Special Offer For You!